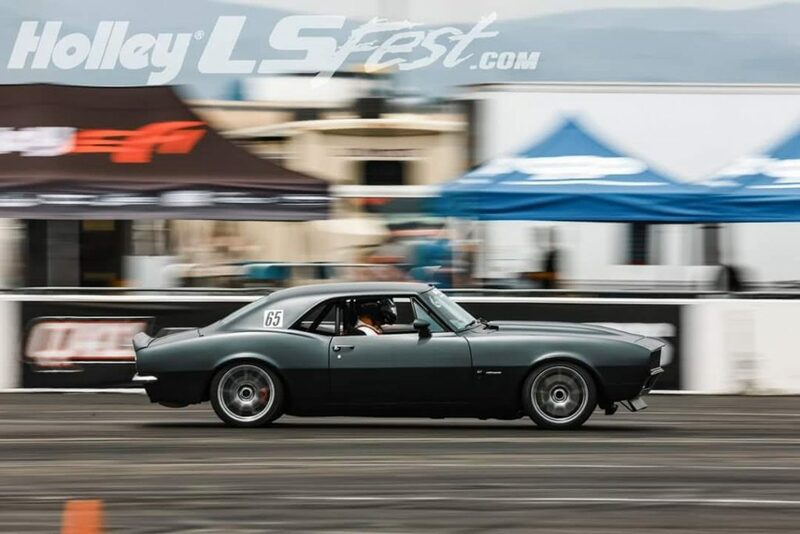 Tommy Toemmerdal and his dad accomplished one of the holy grails of pro touring First Gen Camaro swaps by swapping in all of the key C5 Z06 Corvette components into their 1967 Camaro. People have been swapping C5 and C6 Corvette parts onto old muscle cars for well over a decade now. Not this build! Very few take the time to retain the trans-axle and C5 IRS let alone retaining use of the factory corvette front and rear cradles, ABS, etc. That is the real magic of this build. It required a ton of fabrication which you will get a taste for in the pics below. 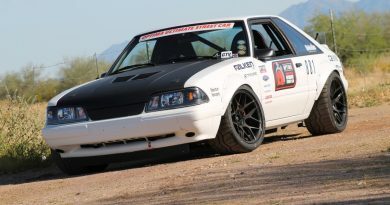 In fact this is the first streetable, running, driving and racing version I’m aware of in the pro touring community. As someone who started spending time on pro-touring.com in the mid 2000’s, ATS founder Tyler captured the imagination of many by setting this very goal for his own Camaro. Dubbed project 50/50. 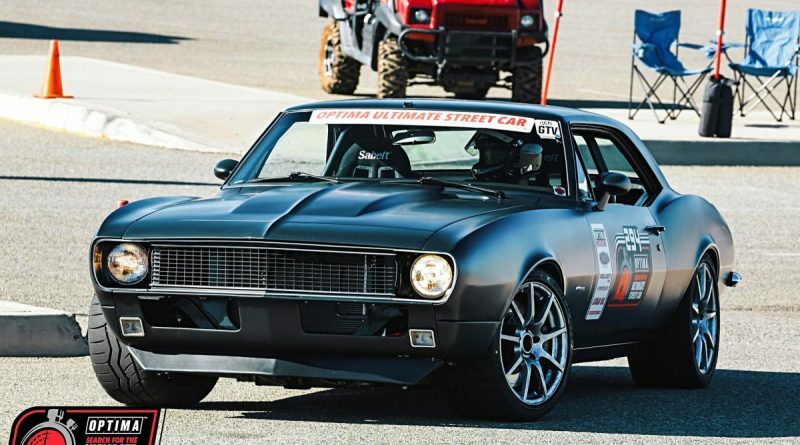 There was a time where many thought this would be the ultimate pro touring Camaro. Sadly the project derailed and was never completed. Though, I wasn’t alone in my hope that it would someday. 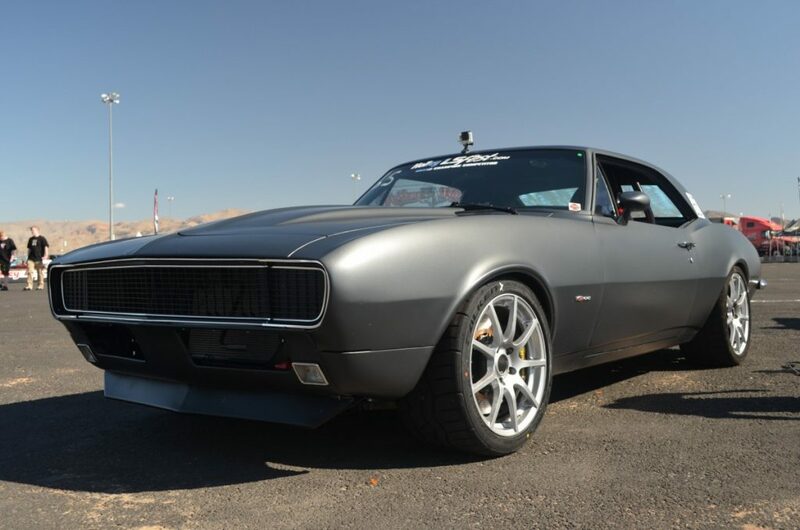 To me, Tommy’s 67 Camaro is it’s spiritual successor. Even better, Tommy and his Dad built this car themselves out of a well equipped garage! Oh, and one more thing. They originally built it in Norway! I guess it starts with my childhood. I was born and raised in Norway, but my dad has always been a Chevy guy. That’s where I have gotten most of my inspiration from. He’s been building cars from way back in the 70s. Novas, Camaros, Chevelles etc. Back in the early 80s, before I was born he built a Hugger Orange, Big block twin turbo 69 Camaro. That engine eventually blew up, but the car stayed in the family until 2013, so I kinda grew up with that car. From 2007-2009 i studied in the US and i was lucky enough to drive a C6 Z06. That LS7 is a beast. From then on both me and my dad kinda fell in love with the GM LS platform, and we understood that we had to build something it. 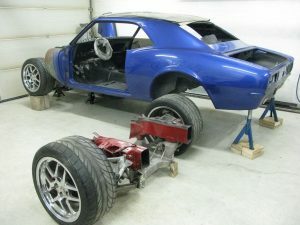 In 2009 we started searching online and found a C5 Z06 rolling chassis, and a few months later I bought my 1967 Camaro outside Tucson, AZ. At the time it was blue, had a small block 350 with a Holley carb, together with a TH350 and a 10 bolt. Later that year I was done studying in the US and moved back home to Norway. Together with all my stuff I shipped the Camaro and the rolling chassis. It wasn’t until i got home to Norway we decided to use all the parts from the rolling chassis in my car. Many people have dreamed about doing what you did to your Camaro. What is your background in fabrication and building cars? I do not have a formal education or background in fabrication or building cars. Though I’ve had many other enthusiast cars which to a certain degree have been modified. However, not to the extent that we did with my Camaro. As mentioned above my dad has been a big inspiration and certainly a huge help. I might be biased, but I believe he the best fabricator I have met. Did you do all the work yourself or did you have any help? How many hours do you think it took to swap all of the Corvette parts over? This was a classic father son build, which I think is kinda cool. Obviously, he has given me lots of inspiration and help when it comes to cars, and especially during this project. It took us about two winters to “finish” the car. 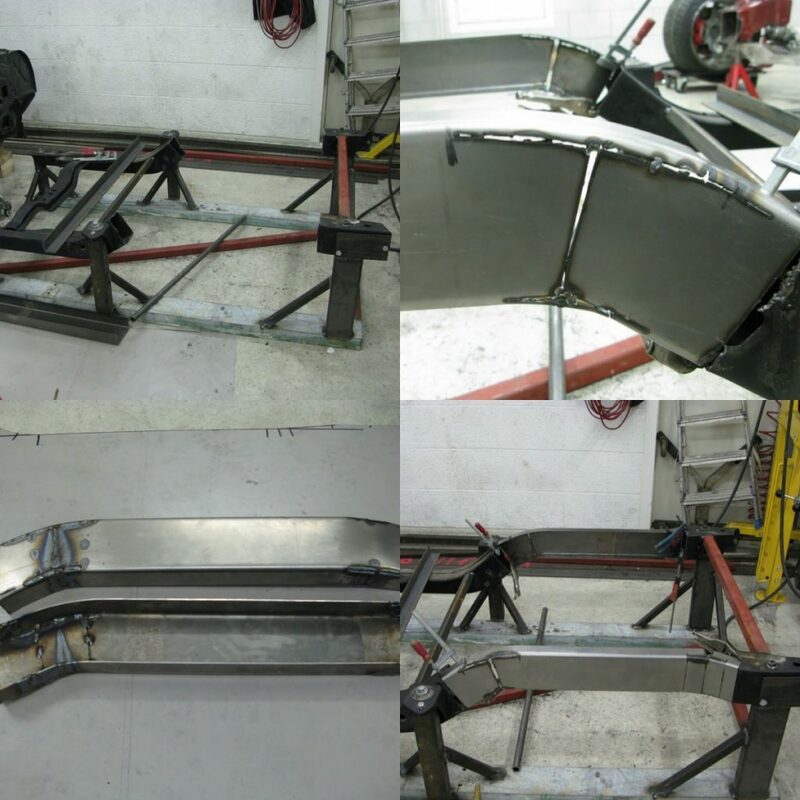 That included almost all of the fabrication work, suspension, paint, drivetrain etc. In the beginning this was a pure street car. I reused as much as possible from the C5 Rolling chassis, and it worked well on the street. One of the first things we did after it was done, was to take it on a road trip to Stockholm, Sweden for a car show. Which is about 1000 miles round trip. After seeing “similar” builds in the US getting track time and doing autocross, I wanted to test my car as well. So I started doing a few local track days in Norway. That is when I figured out that parts that work on the street necessarily doesn’t work as well on the track. Seats and brakes were the first things I had to upgrade. Initially I had been running stock c5 brakes and BMW M3 Cab seats. After a few years in Norway I moved back to the US and now live in Phoenix, AZ. Here I have been more active racing the car. I try to attend as many of the local SCCA Autocross events I can. I’ve also been at events like USCA and LS FEST. 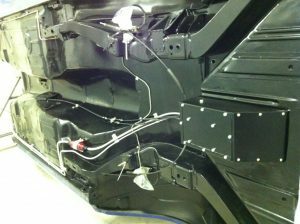 Did you do any research on how to swap the Corvette parts over or just measure a donor car and start cutting and welding? Basically we measured the old car, set the ride height we wanted and then started measuring, cutting and welding. There is obviously more to it than that, but since nobody had done it before us we had to start somewhere. List any and all mods you wish to highlight. AFR 210 heads, ported by Mamo Motorsports. Cam Motion camshaft with 230ish duration, 600ish lift. Fast 102 Intake, LS2 Throttle Body, FAST 36LB injectors. XS Headers and x pipe. Z06 Titanium axle back. Stock GM ECU, mapped and tuned by me. Fuel Safe fuel cell, Aeromotive A1000 pump, filter and regulator. McLeod RST twin disc clutch. Custom length “Drive shaft shop” Driveshaft and axles. C5 Z06 Torque tube and transaxle. C&R radiator with integrated oil cooler and Improved racing oil cooler thermostat. Stock 67 Camaro subframe, modified to work with the C5 Cradle and C5 A-arms. Aldan American custom length coilovers. LG G1 anti roll bar, shortened, (similar to GM T1 bar) and LG end links. Poly bushings all over. Rear frame rails are modified to work with the C5 Cradle and A-arms. LG G1 anti roll bar. C5 Brakes, stainless steel brake lines, Carbotech pads. GM Cyber Gray, with a flat clear coat(Painted not wrap). 70 Camaro mirrors, flushed mounted front and rear windows. Mini tubbed in the back, massaged inner front fenders. 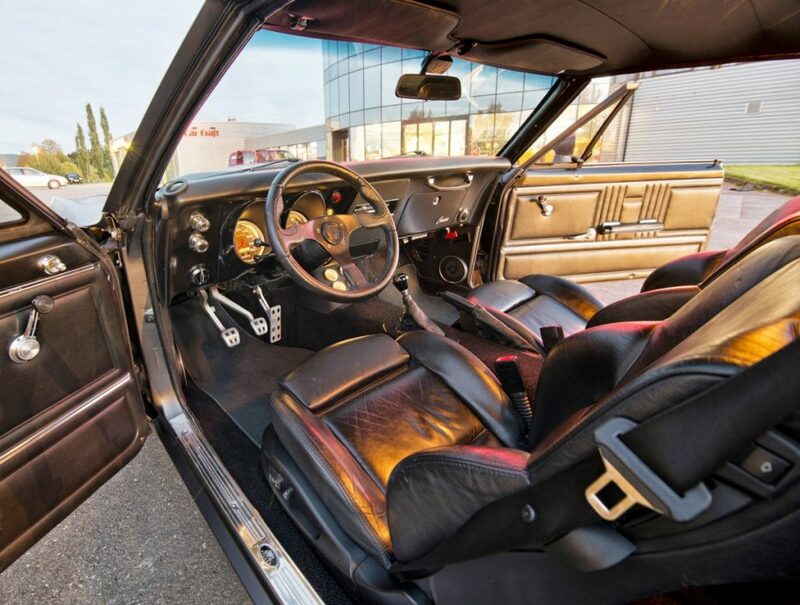 Most of the stock Camaro interior is still intact. I kinda like the old school clean interiors, with just the changes necessary changes made to have the car perform better. Sabelt Seats, with 6 point Sabelt harness. The tunnel and the floor in the back is heavily modified, so the carpet and “Back seats” had to be custom made. Did you narrow the front cradle? Looks like both the cradle and sway bar were either shortened or lengthened? Yes, both the front and rear cradle is narrowed enough, so that wheels would fit inside the fenders. The subframe is the stock unit. However we modified the center portion of the rails to accommodate the C5 cradle and the C5 A-arms. Basically we made a JIG for the subframe, narrowed the center portion, made mounting points for the cradle and A-arms. The rack and pinion, sway bars and rear axles are also narrowed the same amount as the cradles. I am currently running 315/30/18 in a square setup with stock fenders, front and back. Are the rear frame rails 100% custom or did you graft the center into the stock rails too? We did almost the same thing in the back, where we narrowed the frame, but here we actually grafted the C5 frame rails into the center portion of the Camaro frame to make it easier to mount the A-arms and cradle. Is the engine setback further than a stock corvette when compared to the front wheel center line? The engine has the same setback as a stock C5 when compared to the front wheels/cradle. That is why we had to modify the firewall. The engine is 6 inches or so further back than a normal Camaro. That is also why i do not have room for A/C. It wasn’t a problem back home in Norway, but in Phoenix it can be a challenge during the summer. What would you say the car’s primary strength is? That is hard question to answer. In relation to other Camaros the IRS and transaxle should help with weight distribution, balance and mid corner. Especially on an uneven surface. With a ½ tank of gas the car weighs 50/50% front to rear. I like how balanced the car is now. It doesn’t push or oversteer too much. Though I do not have much high performance driving experience, I like how predictable the car is at the limit. It doesn’t scare me or have any weird quirks that I have to be aware of on the limit. Maybe tires are a factor here as well and being able to run a square setup helps. What was the most challenging part of this build? It has to be all the measuring, thinking and fabrication needed to have the C5 stuff fit and still have the car look as stock as possible and maintaining as much as we could from the original car. Since nobody i know of had done it before there was no recipe on how to do it, we just kinda had to start everything from scratch. 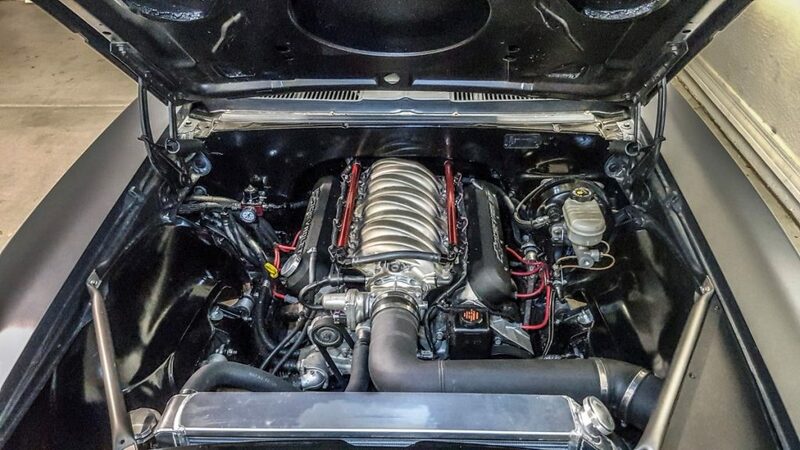 It is probably also the part that separates this build from most other Camaro builds out there. What types of performance driving to you use the car for? Do you have a favorite? And is there anything you haven’t tried with the car yet? I mostly do autocross events. 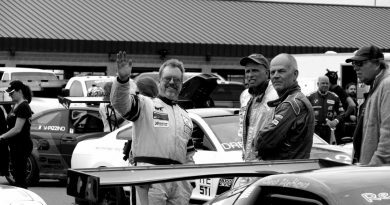 SCCA, USCA, Good guys and LS Fest are the ones I have been been doing. I don’t have a favorite. Though I like autocross because of its simplicity and that you can do it more often without ruining my family economy. When going to any of these events is when you truly see how your car performs. 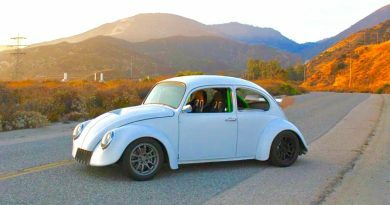 When i first finished the car I thought it was going to be great at track days and autocross. Driving on the street you really don’t explore the capability and limitations of the car. But after about 15 minutes of track time I figured out that it had a long way to go. There are so many small things that have to be addressed if it is going to perform. Seats, fuel venting, heating issues, brake pad and disc combination, etc. The list goes on. I will encourage more people to bring their cars out to do these events. Currently, there are only about 3-4 cars regularly attending SCCA CAM-T in the Phoenix region. The courses are usually fast and flowing, which should be a fit for anyone in CAM-T. Its fun and you will learn a lot about your car. Have you ever driven a C5 corvette on an autocross or track and been able to compare it to you Camaro? No, i have only driven a C5 a couple of times on the road. I owned a C6 Z06, but i never tracked it or attended any autocross events (I know it is a shame). I wish i had sponsor 🙂 Again my dad has been my biggest help and inspiration during the whole process. Without him i would not have been able to get the car to where it is now. I also have to mention my wife for supporting my hobby and letting me spend countless hours in the garage and at the racetrack. I just recently installed the Aldan American coilovers and the G1 bars. Short term, I am just going to optimize the suspension setup. There is no time frame or clear plan, but i am dreaming that the future will bring more power. To be more competitive in multi segment events like Optima’s Search for the Ultimate Street Car and LS FEST I need more power than what my “tiny” LS6 can provide. 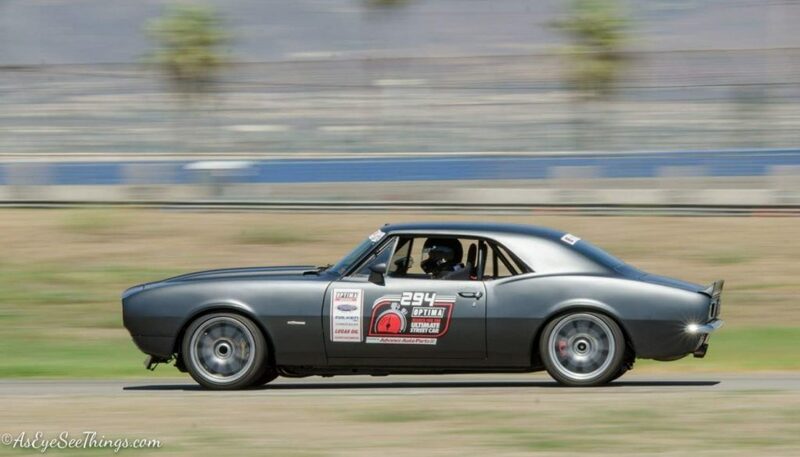 ← TCI Engineering Equipped Camaro Wins SCCA Solo Nationals Championship!